Refinery29Christene Barberich is the cofounder and editor in chief of Refinery29. Christene Barberich is the cofounder and global editor in chief of Refinery29, a media company focused on empowering women by starting conversations about body image, politics, and careers. 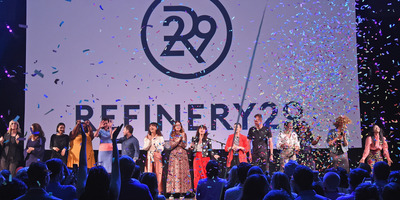 Refinery29 said it would connect with 425 million people this year across its site, social media, videos, and live events. 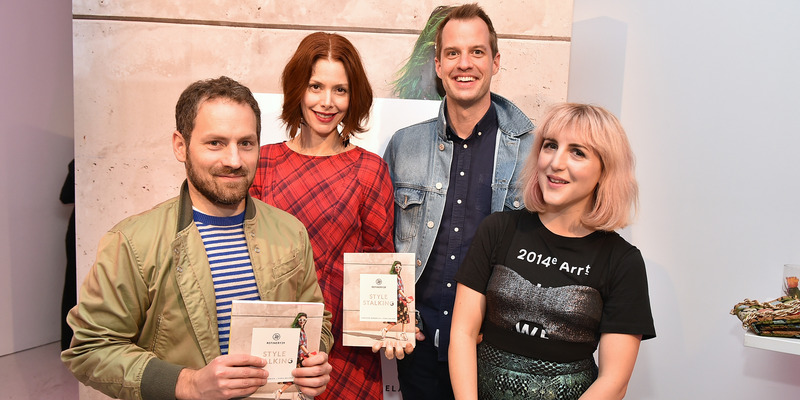 Before founding Refinery in 2005 – with Philippe von Borries, Justin Stefano, and Piera Gelardi – Barberich spent her career in media and helped build the scrappy City magazine. The lessons she learned there gave her the confidence she needed to take on Refinery 29, which would turn out to be a more ambitious project than anyone expected. Christene Barberich: I always knew I wanted to be involved in storytelling, whether that was going to be in magazines, books, film. It was important to me. I feel deeply passionate about helping people, today even, to craft a narrative around something that was really important to them, they feel will really be useful and resonate with other people. Nothing beats true stories. When the opportunity came up to possibly take the lead-editor role at City, I just felt it was exactly the right opportunity where I could figure this out and see if I could do it under the radar without completely humiliating myself and prove to myself that I could run a magazine. I could craft a point of view. I helped hire a creative director. We staffed the whole team, we won an ASME [American Society of Magazine Editors] award, we got nominated for general excellence. It was really life-affirming in a lot of ways. Richard Feloni: What did you learn from that experience that you brought to Refinery? Barberich: Honestly, if I had to distill it, it would be confidence, because I had worked at Condé Nast for nearly a decade before that, and I got incredible experience there being an editor, working with incredibly talented writers, collaborating with different teams, and crafting great stories. But I really always knew that I wanted to run something. I was in my early 30s. It was really about proving to myself that I had the instincts and I had what it took to run something and make it successful and create a brand that was valuable to people. I miss that magazine. Feloni: And if you enjoyed this experience of creating something so much, why was there initially some reluctance to help build Refinery? Barberich: Because I knew how hard it was. And also there was a lot of fear on my part because we didn’t know what was happening in digital media at that point. There wasn’t a lot of evidence at that point that this sort of medium was going to literally become the backbone of everything that every business is. I think we had a feeling that there was that potential, but at that point I was in my mid-30s and a lot of my friends were getting married at that point, having children. And here I’m basically forgoing a salary, moving in with my boyfriend to save money, and figuring out how to make this work so we can actually get this up and running. I think that it’s hard because at a certain point in your life you do crave security, you do crave a little bit more permanence, and even though I did crave those things, what I’ve always craved more is opportunity. I think that I cannot say no to an exciting invitation to do something I feel needs to be done. I cannot say no to it … I was, like, “Oh my God, I have to do this!” This is in 2004 when we all started talking and starting to hatch a plan for Refinery29. There was a lot of interest and discussion about whether or not people would buy things online if e-commerce was going to be a viable means of retail. Feloni: It’s funny how that was still a question back then. Barberich: Oh – it was such a question. I do remember having a lot of meetings with very big established national department stores. And they were, like, “Yeah, well, we don’t really think we’re going to do this e-commerce thing. We don’t really think that’s the way people want to shop.” Everyone had mobile phones at that point, but people weren’t really using them in a way that was facilitating their everyday life in the way that it is now. So they were really interested in doing something I think was really revolutionary at the time, which was so exciting to me. They were thinking at that point they wanted it to be almost a search engine for independent boutiques in big cities because these were really businesses that didn’t have the resources to be able to reach a bigger audience. But when we launched, in 2005 – just give you a sense of the landscape at that point and digital – Twitter wasn’t around. I feel like it was Facebook and Net-a-Porter, and I can’t really think of anybody else at that point, at least in our space, that had this really massive presence that were succeeding and that really gave us encourage about what it was we wanted to accomplish. So after we launched in 2005 in June, it took us about six months to get everything up and running and to build the site and to design the initial execution. It was very clear to us very early on that it was the storytelling that people were responding to. And they were buying things. But I think what we were seeing was really exciting and really rewarding, was the storytelling that we were attaching to the people, the trends, the products, and street style was a really interesting phenomenon at that point. There was just a really deep and passionate interest in real people, not just models, not about this beauty ideal that we have seen for decades in traditional magazines. And that was something Piera and I really loved and identified with. We didn’t really feel like we identified with traditional women’s media, didn’t really speak our language. Both of us read music magazines and men’s magazines and different kinds like The New Yorker and stuff like that, because women’s magazines … the sense of instilling these rules in people, things you can do and you can’t do, wasn’t really our perspective. And it still isn’t and those initial principles really have driven Refinery29 forward and informed so many of the choices that we’ve made and it’s really at the seat of our foundation and I think has been an enormous part of our success. I think that having a really strong, honest and active mission that you can not just talk about but you can actually live and practice in your work and in your everyday life has been the game-changer for us in a lot of ways. Feloni: It was a way of connecting with an audience in a way that previous magazines hadn’t. Barberich: I think that a lot of those magazines have something special to offer, for sure. But I think it was more that Piera and I were really interested in the chance to communicate with people online. At that point, a lot of content makers on digital weren’t turning on their comments. I don’t know if you remember that, when The New York Times didn’t have comments and there was … This was a long time ago. But I think in the beginning, it was helpful for us because we got to mine all this incredible information and help really steer us to a lot of the content and the stories that we pursued in the years to go. So it really was an important facet of how we actually developed our content strategy and building that connection to our audience and our community is still such an important part of our success and our longevity, and I think for anybody it is. Feloni: And in setting the foundation at the very beginning, was there any difference to having two male cofounders for a woman’s brand? Barberich: Well, I think in the beginning we weren’t even sure it was going to be a women’s-media company. Barberich: I think what was happening, and we were all paying attention to this, we really wanted to be of use to people. We still have a small male audience. They’re there. Certainly not as sizable as our audience of women, but it was the women that were really responding. They were the ones that felt we’re filling a void, and that was really satisfying. Philippe and Justin has always been incredibly receptive to my and Piera’s opinions, and we don’t always agree. It’s hard to have four founders, especially after 14 years, next year. To be still together at this point is a testament to our commitment to our audience and our customers and certainly our team, but it’s difficult. It’s really difficult to compromise, especially for someone like me who has very strong opinions about things. I think when you’re an editor, you see things. You see them in your head in a different kind of way and that’s the way you want to apply them. It’s been a tremendous life lesson over the last decade really learning how to compromise creatively and also compassionately, because I think that your success depends on it. Feloni: Can you give an example of maybe a conversation that was a significant decision for the company, where you had to learn to do that compromise you’re talking about? Barberich: Well, I think a big one is when we hired our chief content officer. I was always the lead content person in the operation, and when video really began to be an important facet of any robust international media company’s vision, and at the time, I didn’t have experience in video and originals. Amy Emmerich, she was our head of video, and we were meeting with people who could be our chief content officer. At that point, you really have to set your ego aside and really think about what is going to be best for the company. I’m very secure in my talent and my experience and in my ability to make great work, but I was also really excited about the opportunity to learn from somebody and to really develop my own toolbox. And Amy was somebody that had a completely different background than me. She worked at Vice; she’d done documentary films. She was really just an interesting maker. It was hard to find somebody who didn’t just have the potential to drive content across all these different mediums, but who was really awesome, who really loved what Refinery29 stood for. I recommended her for the chief content officer role. And I was super excited about it. But when she was moving into this role – I still say this to her sometimes – I was reassured by the fact that if she was in a room making big decisions about the direction of our content and I wasn’t there, I knew that she was speaking on my behalf. I knew that she had the best of intentions when it came to protecting and preserving and nourishing our brand and making sure that we did not lose sight of the mission that we all felt so committed to. Feloni: So as core to this idea of compromise, was it learning how to set aside ego and how to trust more? Barberich: Yeah. It’s absolutely that. I think that when you’re building a company, for better or for worse, you have blinders on in some ways. People have blind spots, and I think that because you’ve done something a certain way and it’s worked. But I think that, especially in the climate that we’re in right now, it’s like the industry is changing so rapidly. How things are monetized, how things are distributed, how things are packaged and you have to be able to adapt really quickly. You can’t really let your ego get in the way of that. Otherwise you lose. And I knew that not only had I fought for that title at the time, it wouldn’t have been right, I wasn’t prepared for it, I would have had to learn on the job which would have been very disruptive and I also wouldn’t have had a mentor. Somebody who could really teach me about how to integrate these new methods into our infrastructure, and Amy really did that. Jamie McCarthy/Getty ImagesBarberich, her cofounders, and their executive team at a corporate event in May. Feloni: At what point in the very early days did it go from taking a look to fashion scenes into becoming more of, as say, this lifestyle brand, where it was much more broader in scope? When did that shift happen? Barberich: It all happened in the first five years. And as I said earlier, it was really about looking at the performance of what stories were doing well and what people were sharing, what they were commenting on. We did this piece that we ended up getting sponsored. It was one of our earliest sponsored programs, and it was the month of hair. We cast it ourselves with people that we knew, and we let these women do their own hair. So, every day we just featured a new woman with a different kind of hair, frizzy hair, curly hair, straight hair, shaved hair. It was every kind of hair, natural hair. It’s such a simple idea, but it was so revolutionary and people loved it. I think that was really one of the keys to us understanding where content, storytelling, and resources were really heading. We knew that we wanted to be problem solving for people. We wanted our content to be of use, not just inspirational, but also essential to their everyday lives. So when we started to experiment across food, across beauty. That was a big moment for us because, again, it was moving away from this traditional beauty ideal and beauty standards that we felt as though women had really outgrown, and really speaking to a new generation of women that really wanted to see themselves reflected back. And that’s how we got into body positivity in diversity, and just really making sure that the face of our brand and the content and the headlines in every way where we were present in our audience’s lives, that it reflected what really put us on the map in the first place. And now, with everything that’s happening with our current administration, politically and culturally, it’s become such an important moment for us to have a really big impact in news and breaking news. I think that we have an incredible team that’s led by our executive editor, Yael Kohen, and the kind of opportunity we have to even just to get women out to vote in the midterm elections is just enormously important. And just providing, again, resources, information that’s useful to them that we really feel enhances their lives. And a lot of times, what we’ll talk about on the site is really controversial, and sometimes not everybody loves it and that’s OK. But I think it’s important to start to broach these sensitive topics and really opened up a dialogue about them, because I think it is the things that people don’t know about that they fear the most. We really see that as a big responsibility and opportunity to be able to responsibly report out some of those topics. And I’m sure you and your team know this. You hope that you mostly get it right. I love the idea of getting it right all the time. I think that when you’re publishing this much content this fast, it’s hard to get it all right, but I think that you have to be able to learn from the mistakes and the times when your tone is off, or, you know, the headline is a little insensitive. Feloni: Or it doesn’t register with the audience. Barberich: Yeah. And I think sometimes you can’t see those things until after it’s out there in the world, like living a life and people are reacting to it, and you’re, like, “Oh, I didn’t really see that.” And again, you can be in your own bubble in a way. That’s why it’s so important to have these open conversations with your colleagues, and certainly an ongoing dialogue with the audience. 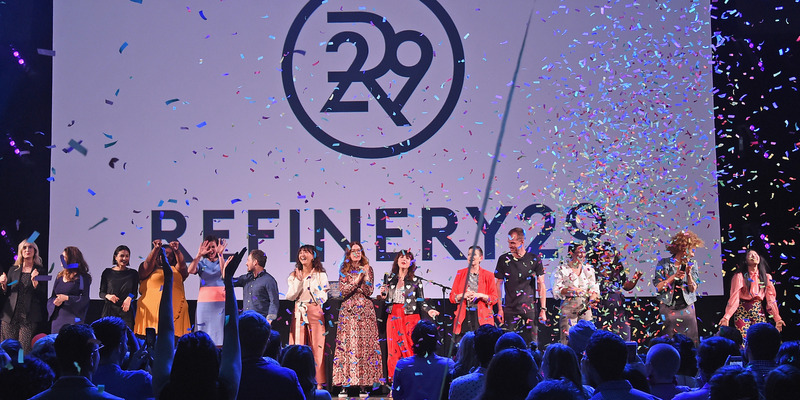 When I was first interviewing editors for our UK office, I was hearing about how much Refinery29 meant to women in the UK because they felt like a lot of the women’s media outlets were so conservative there. The same with Germany. Realising, when you get out of your usual, everyday world and you realise, “Wow, this site has really meant something to people.” And honestly that’s what matters to me. I hate disappointing people. When I feel like I’ve disappointed an employee, when I feel like I’ve disappointed a segment of our audience, when they have felt ignored or overlooked or misunderstood, I take that personally. I probably shouldn’t, but I do, because I really, really care. And there are a lot of people like me in our company that care and really take the job home with them because of that mission. Feloni: And what is your ultimate vision for Refinery? Is it keep getting bigger and bigger, as big as it can get, or is there a point where you want to keep it within like a certain sphere? Barberich: Well, I think that the vision is always to really spread the gospel everywhere we can, where we really feel like our audience needs us. It’s just having a chance to merge our audience with other people’s audiences, and reach even more people with important forms of storytelling that we really feel don’t just change our industry but change other industries, and really help to move society and culture forward. Feloni: Looking at the entirety of your career, what would you say was the biggest challenge that you’ve had to overcome? Barberich: In this situation, at this scale, it’s confidence. It’s having the confidence in myself that I am an important piece of this operation, and that the people that I choose to join us in that mission are also the right people to be doing those jobs. I think that, when things get to be at this scale, it’s like being on the roof or the top floor of the Empire State building. It’s like, “Whoa, what’s going on here?” You start to really feel the gravity of success and failure. When you’re making a magazine that’s circulated to 35,000 people, you feel like you have your arms around all the consequences that could possibly like blow up in your face. Feloni: And if you’re in a moment where you’re dealing with that anxiety or the gravity of some decisions you’re making, how would you deal with that as a leader? Does that become a danger at some point, if you’re feeling anxiety when you need to be reassuring to everyone on your team? Barberich: Sure. I would love to think that I am the most composed person all the time, even in the most stressful moments, but I’m not. I’m sure that I have reacted in meetings or lead a meeting or had a conversation even, and people were, like, “What is up with her?” Or maybe even said worse things. Who knows? What is the gift is that I’m aware of it. I’m very self-aware. I think I’m really open to feedback. I don’t have an office. We’re moving to a new floor in our building, and it will be the first time in all this time that I will have an office and I’m really tense about it because I really like being in contact with everybody on my team. So I actually had them create this sort of sliding door so I can open it up, so I can still kind of feel connected to what’s happening. But I think that I really pay attention to how people react to the kind of feedback that I give, to the kind of direction that I give, to the kind of criticism that I give, because I know how I feel when it’s given to me. That’s the thing that makes me feel good when I go home at night, is feeling like I wasn’t an a–hole and I wasn’t being indignant about trying to get my way, and I used to be that way. Feloni: How did you learn that? Barberich: I think you just listen to yourself. You have to sort of be outside yourself, not just inside yourself, and whether it’s a one-on-one or you’re in a huge executive meeting with 25 people. There have been meetings where I’ve said something and it’s literally like lifted everybody up, and I’ve seen moments where I’ve said something and it’s really brought the meeting down. I think that you always want to do the former. You always want to be enhancing, additive, to what’s happening. I think that’s a huge responsibility as an executive in a company, certainly as a founder, is to really be conscious of the contribution that you’re making. Am I moving things forward? Or am I becoming a roadblock? You have to be able to ask yourself those questions. Barberich: I think that, to me, I’m the happiest and feel the most in balance and successful when I feel like I’m listening to my inner voice and that I am actually present in my life, I’m not just on this treadmill churning stuff like and not feeling any personal connection to it. I think the reality is, in many businesses, is that there’s a lot of times that you’re on that treadmill and you’re just getting out the door, and you’re just moving sh– off your desk, and answering emails, and taking care of a lot of the housekeeping. But success to me is feeling like I am not playing small and that I am really fully present in my work and in my life. Making sure that I am constantly accounting for those decisions that I have to make. I think it was the late [self-help author] Wayne Dyer that said it, but it was all about the surge of energy that you get when you make a decision. It’s dwelling too long in the place of indecision that really brings you down. It’s like when people can’t move forward, when they can’t just like make a decision and move on, whether or not that decision is the right decision, but it allows them to just forge ahead into the future and to start doing new things. That is where the energy comes from. I think that, to me, is success, is feeling that you have momentum in your life and that you’re not stuck. And that if you are stuck, that you have the courage and you’re able to sort of access the good counsel that you need in order to get unstuck because I think that that’s also a reality of running a business, is that there are places when you’re stuck. It’s like a department that’s stuck, it’s a leader who’s stuck, or it’s a team that’s stuck. I think that it’s our jobs to really help people get unstuck. Ideally, we want to make all the right decisions, so we don’t have to encounter those difficult conversations and moments, or have to take difficult measures to do something to make a change. But inevitably, you’re not doing a good job unless you’re f—ing up a little bit. It’s like you kind of need to be out there. You’ve got to get your hands dirty a little bit. You have to just see what you’re made of and what the team is made of and what is possible, because otherwise it just becomes this very generic, very safe, very predictable kind of timeline, and that doesn’t interest me at all, and I don’t think it interests a lot of people who are drawn to startups and drawn to building things. Feloni: And what advice would give to someone just starting out who would want to have a career like yours? Barberich: Well, I mean, I think that it really starts with putting your ego aside. I think that I had very, very big ambitions that I was going to be an editor right out of college. I had to be an assistant for a very long time. I didn’t get my official editor job until I was 26. That felt late to me. I was really scared that I was falling behind, but the way that my trajectory really unfolded was that I ended up working for other publishing executives in a supportive role, learning about the business until the right opportunity opened up for me, which happened to be at Gourmet magazine. I think the other thing is when someone comes into your midst who has experience that you really admire, like just go out of your way to ask, like, even if you can have a 20-minute conversation with them. That’s just what you have to do. I cannot tell you how many people I have cold-emailed or cold-called over the last 25 years, people I’ve admired, many of them never responded, which is totally fine, but some of them did respond. I think that those are the sort of encouraging moments that remind you that you’re on the right path and that you have to keep tapping those kinds of people in order to propel yourself forward because we don’t do it alone. I mean, I guess if you’re a novelist or something you do it alone, but for most of us, we need other people. We depend on each other. When you remember that, you really become tremendously respectful and appreciative of what other people bring into your life and what you, in turn, bring to theirs. Feloni: Well, thank you so much, Christene. Barberich: You’re welcome. Thanks for having me.